Codrops is a web design and development blog that publishes articles and tutorials about the latest web trends, techniques and new possibilities. The team of Codrops is dedicated to provide useful, inspiring and innovative content that is free of charge. 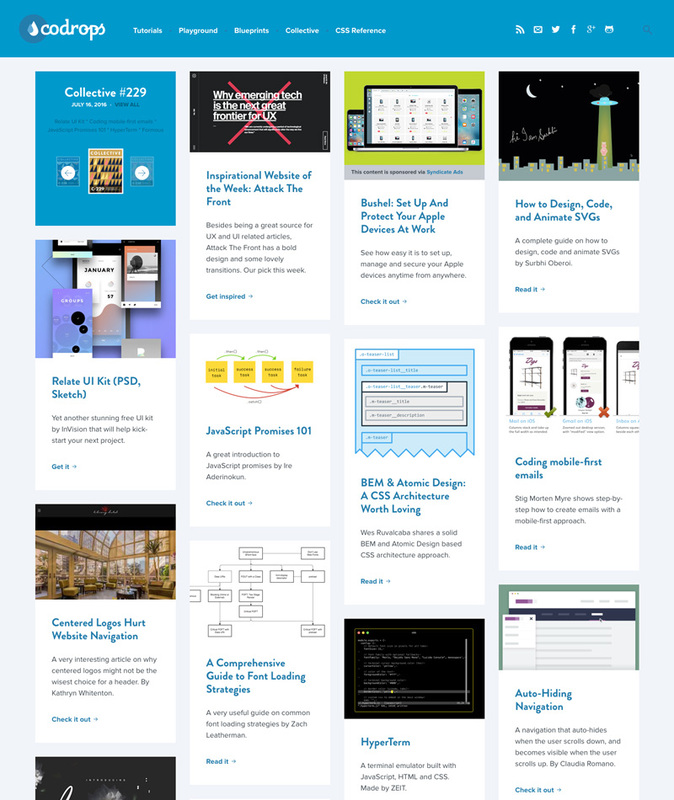 The Codrops Collective features the latest news and resources from the web design & development community. With more than 400 issues, it has become a very popular weekly reading list for many web professionals. Your sponsored news item(*) will be placed in one of the top two rows of our Collective issue (labeled "Our Sponsor") including a linked image, a linked title and a short description (max. 160 characters). The Collective is published on the Codrops website and distributed to over 62k RSS followers. We also send out the Collective as a newsletter with currently over 15k subscribers. *Note: ad copy should be neutral, yet descriptive of the product. This style of writing will work best for the Collective's readers. Please see examples of previous sponsors should you need a reference. The Collective archive can be found here.